Are you a practicing Lawyer or Chartered Accountant working within a company secretarial or governance remit for more than five years? If so, you can qualify as a chartered secretary more quickly via our Fast Track Professional (FTP) scheme. 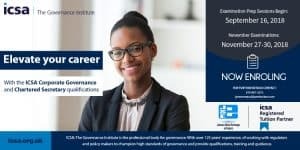 Designed to allow experienced professionals an opportunity to gain recognition for their level of competence and ability, FTP requires candidates to sit just two of the eight modules that make up the Chartered Secretaries Qualifying Scheme (CSQS) – company secretarial practice and the case study. As such it could be completed in one year. At the end of your studies you can progress to Chartered Secretary status and benefit from ongoing support, resources and networking. 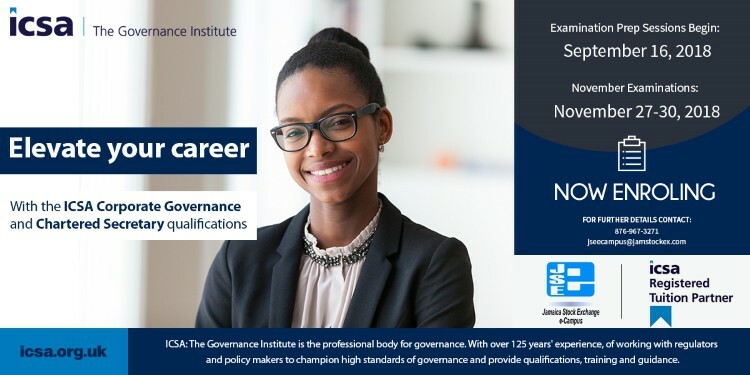 If you are looking to champion good governance in any industry, ICSA’s Advanced Certificate in Corporate Governance will help you succeed. Our flexible open-entry qualification covers all of these key topics at a degree level. Develop your skills and enhance your professional credentials by studying with ICSA. There are generally two exams per year; one in June and the other in November. The registration deadlines for each are in April and October, respectively.